Some of you may have remembered that yesterday was 13 years to the day since the Swans played their last ever league game at the Vetch Field, a one nil victory over Shrewsbury Town in League Two, courtesy of an 8th minute goal from Adrian Forbes. 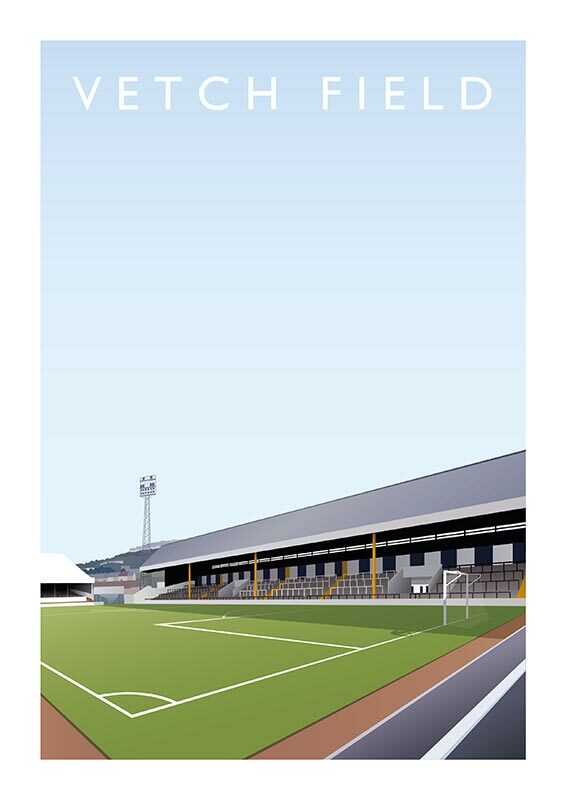 To celebrate the occasion, we’ve teamed up with Sheffield based Matthew J I Wood Design & Illustration to run a competition to win an A3 sized Vetch Field Print (as shown below). Although based in Sheffield, Matthew is a Crystal Palace fan and his series of football ground posters came about by pure chance after he did one of Selhurst Park for a friend. Soon the requests from football fans for other grounds followed and the rest as they say is history! Like many Swansea fans who miss the old Vetch Field, Matthew feels that the majority of modern grounds lack character or soul, so whenever possible he’s focused on the ‘retired’ football grounds, such as the Vetch, Ayresome Park, Roker Park, Baseball Ground and many more. The winner will be chosen at random from among the qualifying entries shortly after the closing date and time by Matthew and contacted in due course about the A3 sized Vetch Field Print. The prize must be dispatched to a UK postal address, no cash or other alternatives to the prize will be offered and the judges decision is final. Look out for further poster designs in the future, as Matthew plans to continue working his way through the 92 grounds, before doing some Scottish grounds, and then some European stadiums! Let’s just hope that come the final whistle on May 13 that Carlos and his Swans team are still much loved and admired by the Jack Army!